Easy to change header for logo and message. 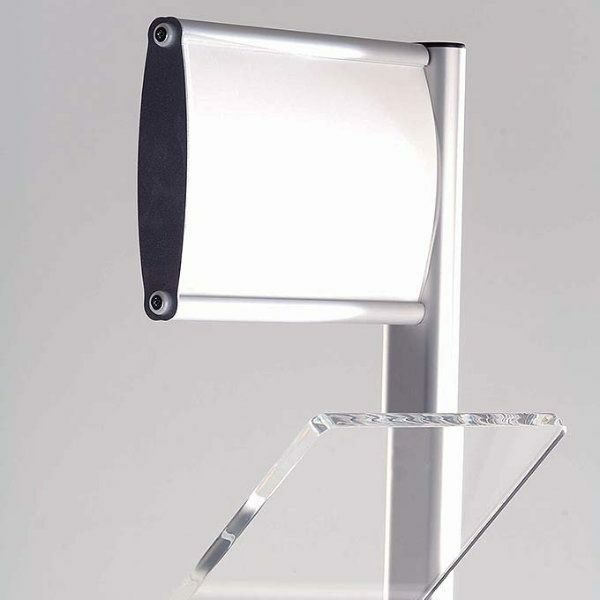 Decorative legs are made of aluminum ellipse profile Height: 63 13/16 inch (1620 mm). 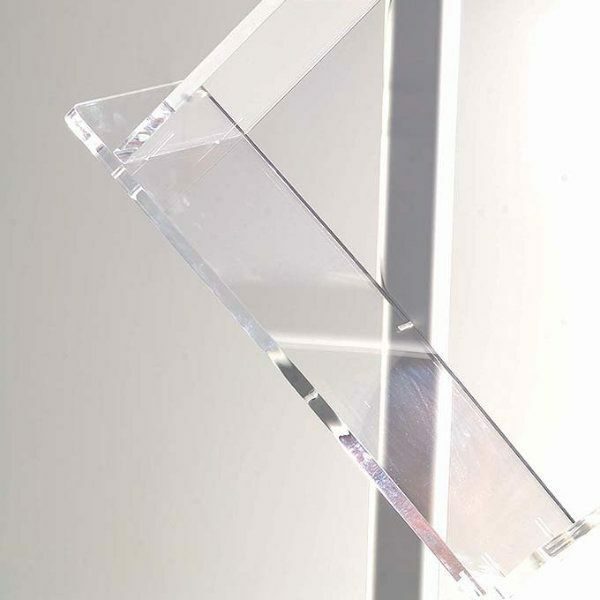 Shelves are made of 7/16 inch (10 mm) acrylic. 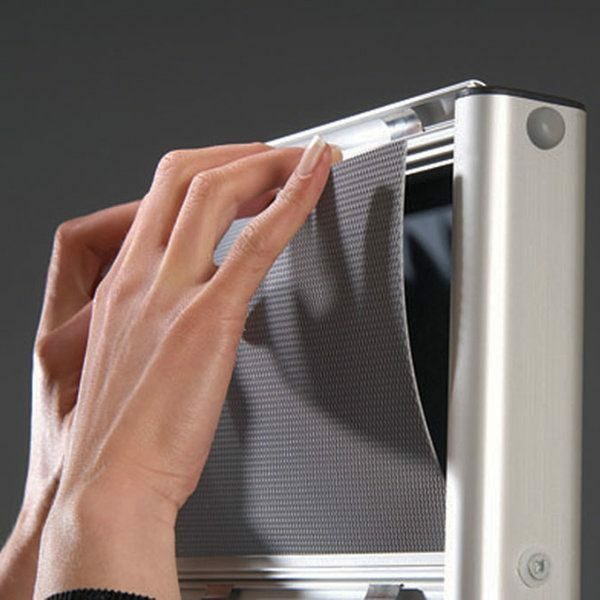 Product comes unassambled with an easy mounting instruction sheet. 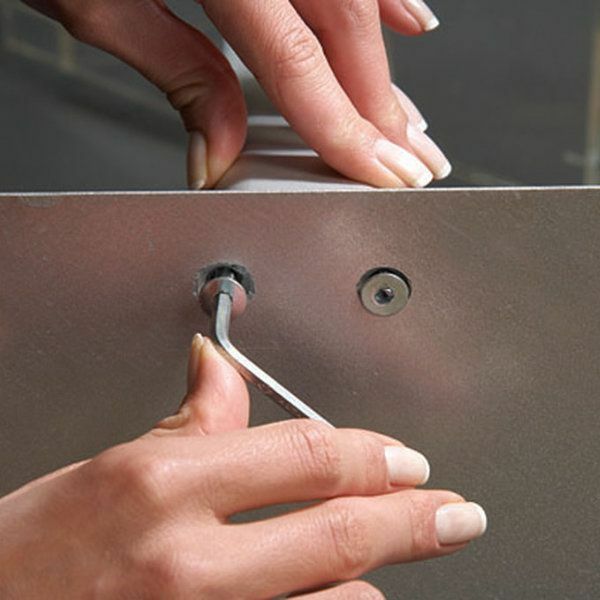 Use the hole caps in the hardware set to cover the mounting holes. 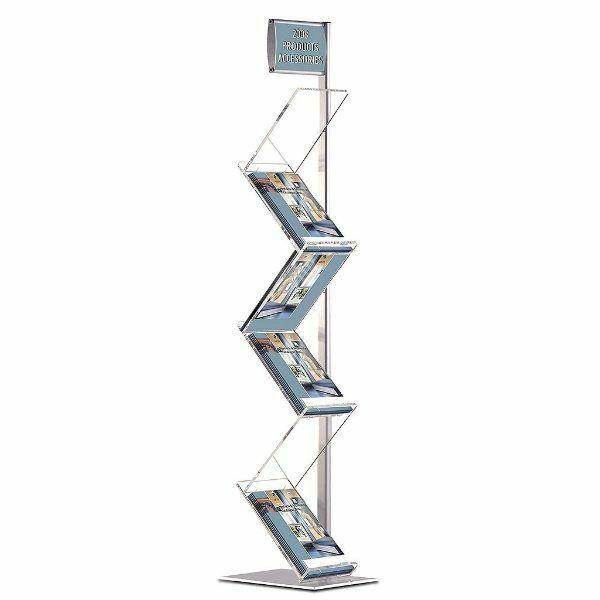 This literature stand has an elegant look thanks to its acrylic shelves and stylish structure yet it is also very durable. The base is very sturdy with its 9.48 lbs weight. 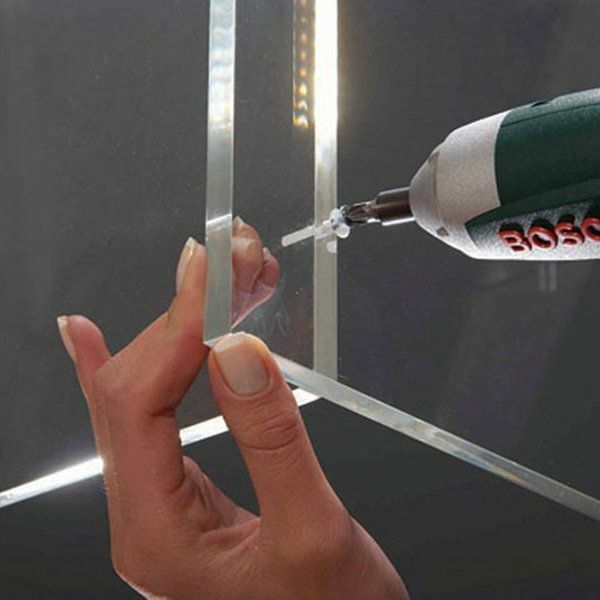 It is semi metal plastic coated. 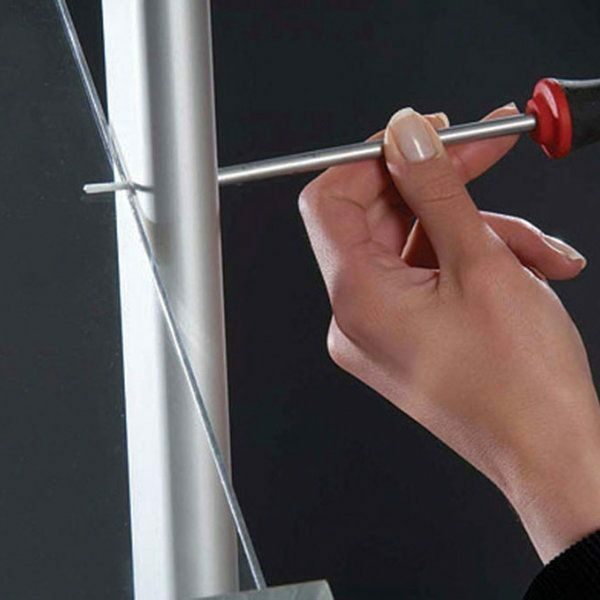 The side single leg is also metal coated and keeps the shelves align. 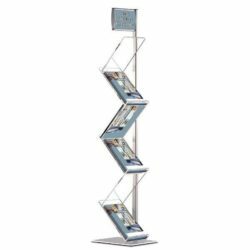 The shelves of this brochure display has six acrylic shelves, so six trays for 8.5″ x 11″ size vertical positioned leaflets, brochures and magazines. Each shelf is 8.86″ wide and 15.75″ high. 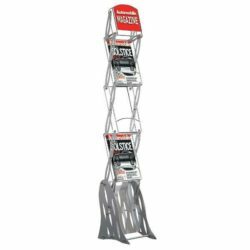 Another feature this literature rack has is, front loading, snap open frame header. 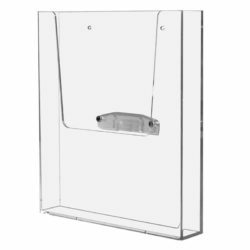 Simply snap up the bottom and top profiles place your poster then the clear plastic cover that comes with the product and snap close. 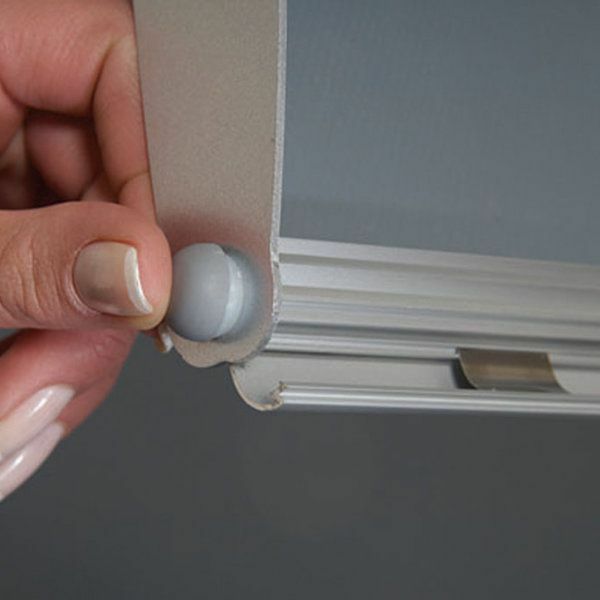 Anti glare plastic cover protects your insert and prevent from glaring. This brochure comes unassembled with already drilled acrylic trays. 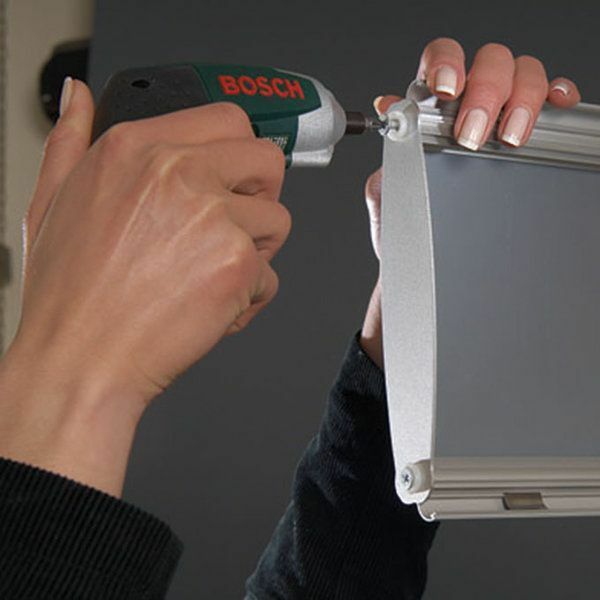 An easy to understand manual and required assembling hardware are included in the package. 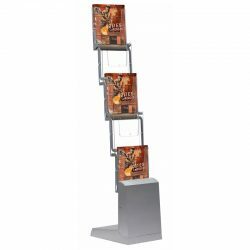 Buy this literature rack today and start distributing your flyers and brochures in a stylish way! 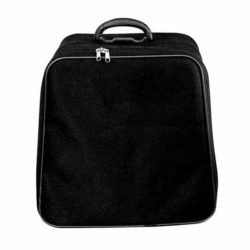 Very portable. 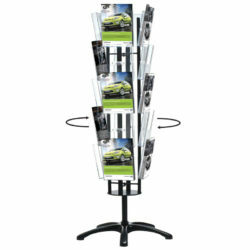 Can be used in our showroom and quickly closed and transported to a trade show.